Deployed along three north/south hill ranges in the parish of Llananno is the most developed prehistoric astronomical complex yet identified in Britain. Similar to the great mortuary landscapes of Ireland, at Loughcrew, Carrowkeel and the Bend of the Boyne the Llananno ritual landscape spreads across many square miles of open hilltops. 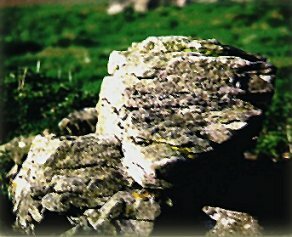 On the summits of several hills on the eastern and western ranges of the Llananno high ground many tumuli and cairns are visible to the unaided eye on a clear day. On the central ridge, Brondre Fawr, clear evidence for careful deployment of Bronze Age stone settings may be found. These are the stances, backsights from which the astronomical formalities of this complex may be ascertained. Principally these are: a small stone circle with a carved rock block S1, at it's centre and another outlying stone chair, S2, at 223.4 metres to the south. 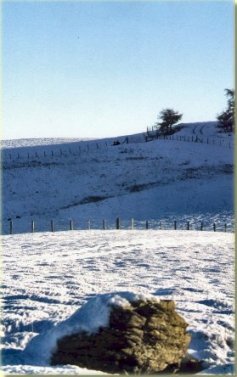 These two 'chairs' have an intricate astronomical relationship and support a large range of astronomical alignments to foresights on the hill lines to east and west. Further on the Brondre Fawr ridge other large stone settings are being examined for their astronomical potential and on the high ground to the west some evidence exists for the deployment of stances for a long distance lunar observatory looking to two large cairns on the summits of Drygarn Fawr the highest tops of the Cambrian Mountains. The 16 interval Megalithic Calendar and Lunar Standstill observatories. When an astronomical interpretation is applied to the locations of these numerous remains we find that two formal patterns emerge which account for most of the positioning of the tumuli and stone settings. 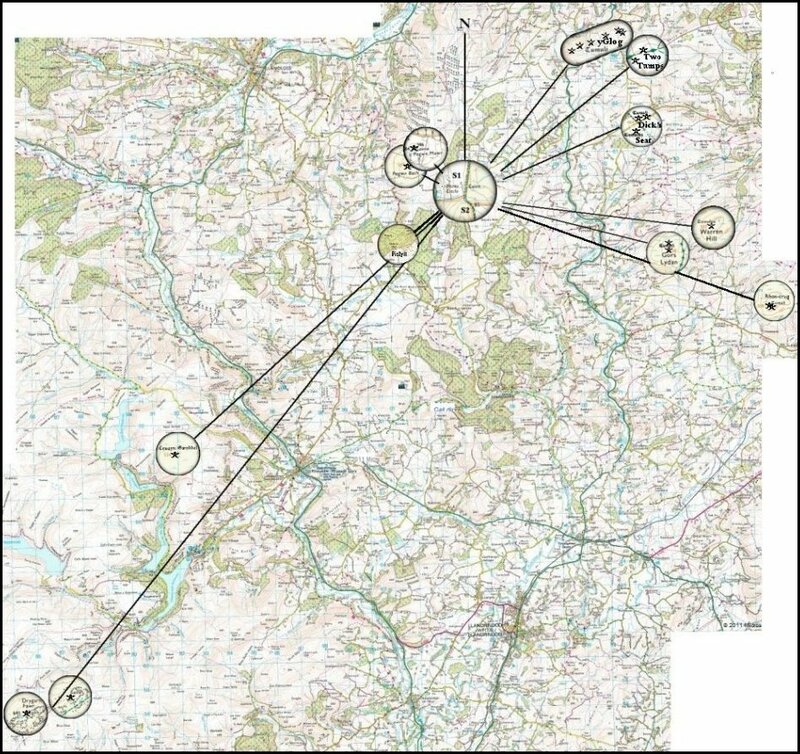 Strong support evidence for the 16 interval Megalithic Calendar as propounded by Alexander Thom and for his thesis that high resolution lunar observatories had been created in Bronze Age Britain can be shewn from this complex of inter- connected sites. Click on a site for details. 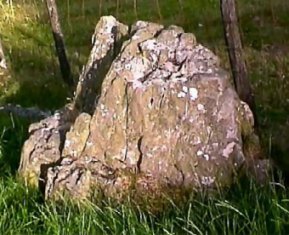 From the two rock- cut chairs, S1 and S2, Llananno, all but one of these foresights are visible to the unaided eye in clear weather. The Drygarn Fawr cairns at 18 mls- 25 kms, are very large but difficult to resolve with the unaided eye in all but the sharpest daylight weather conditions, however, when the full Moon sets on them they are readily visible silhouetted against the lunar disc- as in the long exposure photograph of 12th August 1989. S1. This step-carved block weighs around 1 tonne and sits at the centre of a small ruined stone circle on the Brondre Fawr ridge. It is a recognised and conserved antiquity. It is believed to be, at an altitude of 480 metres, (1575 ft), the highest placed stone circle in Britain. S1 faces due east where many Bronze Age tumuli are visible adorning the summits of the Llanbister, Llanbadern Fyndd and Dolfor parish's high ground. Also, due to the open location here, many more cairns and tumuli may be observed on the high summits to the west and south- west. S1 to S2. The distance from block S1 to S2, near the field gate, is exactly 270 Megalithic Yards measured over ground, centre to centre, with surveyors tape. 270MY = 223.86 metres = 244.8 yards. This distance is precisely the 'step- aside' dimension required to 'move' the Moon through one apparent diameter as it rises on Glog Hill, Dolfor. A 2/3 tonne outlying stone block carved to a roughly shaped throne or armchair. When sitting comfortably in this chair the eye is directed to Glog Hill, Dolfor and it's collection of Bronze Age tumuli. In less than 1 kilometre of the crest of y Glog there are ten circular barrows identified. It is the largest prehistoric cemetery yet recognised in Wales.